Discussion in 'Indian Army' started by Indian_Idol, Apr 14, 2010. New Delhi: The success of the indigenous Arjun main battle tank (MBT) in desert trials last month is generating additional army orders for a tank that is emerging as a notable research and development (R&D) success. Meanwhile, the Arjun is becoming more capable; the Defence Research and Development Organisation (DRDO), which designed the Arjun, says that all future Arjuns will incorporate major improvements, including the ability to fire missiles. Business Standard had reported that the Arjun tank had conclusively outperformed the Russian T-90 -- the army's current frontline MBT -- in trials conducted in early March by the Bikaner-based 180 Armoured Brigade. The army is still evaluating that trial report to decide how many additional Arjuns it should order, over and above the existing order of 124 tanks. But, the question before the army is no longer whether to order more Arjuns; rather, it is how many to order? Highly placed Ministry of Defence (MoD) sources confirm that the army is moving away from its staunch opposition to the Arjun. The DRDO, meanwhile, is working overtime to sweeten the deal. S Sundaresh, the DRDO's Chief Controller for Armaments and Combat Engineering, has told Business Standard, that all Arjuns now ordered will fire anti-tank guided missiles through the tank's main gun; provide extra protection for the tank's crew through explosive reactive armour, or ERA; be fitted with thermal imaging panoramic sights that allow the Arjun's commander to scan his surroundings even by night; and incorporate at least seven other improvements over the current Arjuns. "We had test-fired the Israeli LAHAT missile through the Arjun gun as far back as in 2005", pointed out Sundaresh. "It will take us about six months to integrate the LAHAT's designator into the Arjun's fire control system." The addition of two tonnes of ERA will increase the weight of the Arjun to just over 60 tonnes, making it one of the world's heaviest tanks. But, the DRDO claims that its powerful 1,500-Horse Power engine easily handles the extra weight. "The ERA will protect the Arjun's crews from enemy missiles. Initially we will fit the same Russian ERA that protects the T-90 and the T-72. But, we will also develop our own indigenous ERA." An early order from the army would be crucial, says the DRDO, for continuity in the Arjun production line at the Heavy Vehicles Factory (HVF) near Chennai. The current order of 124 Arjuns will occupy the production line until end-2011. For the next order of Arjuns to hit the production line then, the order would have to be placed now. That would allow 18 months for provisioning of components, such as armour sheets and sub-systems that are manufactured by ancillary suppliers. That period also caters for the purchase of foreign systems, eg the engine from MTU, Germany. "Continuity is vital for quality control", explain officials from HVF Avadi. "We have instituted systems for quality control in the current order of Arjuns, which is why they performed so reliably during trials. These systems will wither away if the production line shuts down for lack of orders." Since the Arjun's assembly takes 12-18 months, a fresh order of Arjuns will start being delivered 30-36 months after the order is placed. Thereafter, HVF will deliver 30 Arjuns per year if it operates with just one shift of workers; 50 tanks per year with two shifts. Great new as there will be more investments into Arjun Project. The success of the indigenous Arjun main battle tank (MBT) in desert trials last month is generating additional army orders for a tank that is emerging as a notable research and development (R&D) success. Meanwhile, the Arjun is becoming more capable; the Defence Research and Development Organisation (DRDO), which designed the Arjun, says that all future Arjuns will incorporate major improvements, including the ability to fire missiles. 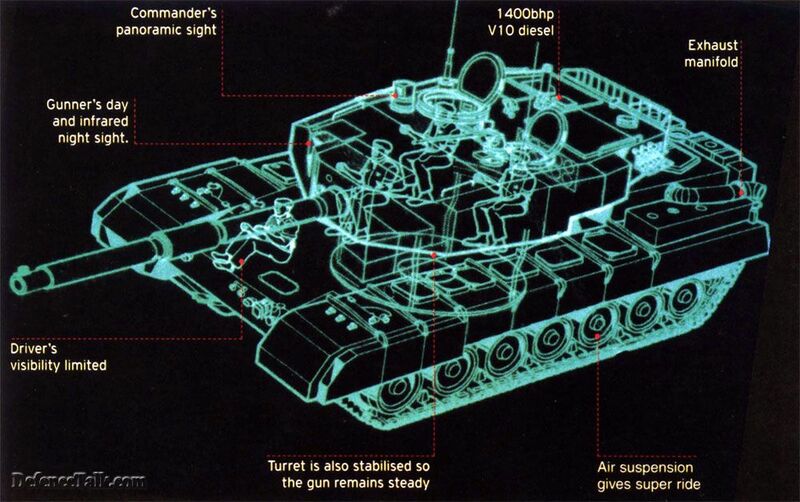 Business Standard had reported (Arjun tank outruns, outguns T-90, March 25, 2010) that the Arjun tank had conclusively outperformed the Russian T-90 â€” the armyâ€™s current frontline MBT â€” in trials conducted in early March by the Bikaner-based 180 Armoured Brigade. The DRDO, meanwhile, is working overtime to sweeten the deal. S Sundaresh, the DRDOâ€™s Chief Controller for Armaments and Combat Engineering, has told Business Standard, that all Arjuns now ordered will fire anti-tank guided missiles through the tankâ€™s main gun; provide extra protection for the tankâ€™s crew through explosive reactive armour, or ERA; be fitted with thermal imaging panoramic sights that allow the Arjunâ€™s commander to scan his surroundings even by night; and incorporate at least seven other improvements over the current Arjuns. The addition of two tonnes of ERA will increase the weight of the Arjun to just over 60 tonnes, making it one of the worldâ€™s heaviest tanks. But, the DRDO claims that its powerful 1,500-Horse Power engine easily handles the extra weight. Since the Arjunâ€™s assembly takes 12-18 months, a fresh order of Arjuns will start being delivered 30-36 months after the order is placed. Thereafter, HVF will deliver 30 Arjuns per year if it operates with just one shift of workers; 50 tanks per year with two shifts. I think that he is talking about Arjun Mk II as far as i know the current config uses 1400hp engine. here is the video, chek it out, do You think arjun MK 2 should or will have this system, either from france or Israel? Will it be home made or imported any info will be appreciated. do DRDO devlop such engine? Well it says its under development lets hope they finish it in allocated time. Delay in project is one of the biggest problem of drdo. Great news! The Defence Ministry has just announced that the Indian Army has decided to place a fresh order for an additional 124 Arjun main battle tanks. This is over and above the existing order of 124 tanks, taking the total strength in service to 248 Arjuns. I wrote about the possibility of two more regiments being ordered here in March. The development follows the success of the indigenous MBT Arjun in the recent gruelling desert trials. After many years of "trials and tribulations", it has now proved its worth by its superb performance under various circumstances, such as driving cross-country over rugged sand dunes, detecting, observing and quickly engaging targets, accurately hitting targets â€“ both stationary and moving, with pin point accuracy. The total number still falls well short of the 500 tank target that the Mark-1 version was supposed to achieve to amortize investments on infrastructure. Disappointed with the numbers any way good news.